Four Christmas Eve pajamas, three nights of sewing past midnight, yards and yards of gathering, 14 buttonholes created and 14 buttons sewn on. I'll admit, it was a slightly bigger undertaking than I had envisioned when I created my 'short' list. I do have a reputation around here as chronically underestimating how long it will take to complete almost any task. "I think I can sew Jude's pajama shirt in maybe an hour. That sounds about right" Yeah, not so much. But there's nothing like a Christmas Eve deadline to motivate me to get it done. And although I didn't finish with much time to spare, I did finish. Oh wow, they look GREAT! That does look like a whole lot of work, though! Boy's PJ shirts are full of fiddly details - definitely not a one hour project. Did you use vintage patterns for all of the nightgowns? I know they usually came in one size back then - did you get several patterns with similar shapes? Do tell! 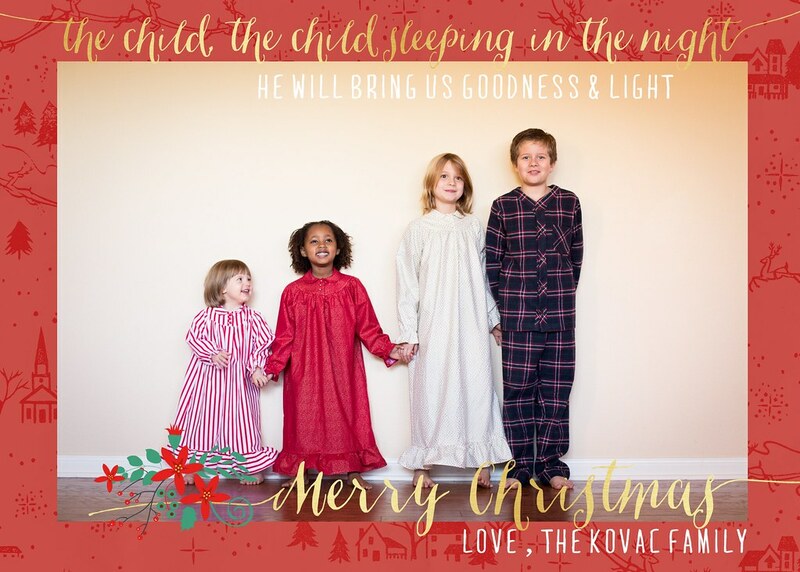 I love this tradition, but I just don't know that I have the TIME to make pajamas, even with only two kids. Especially when I'm trying to sew a few gifts (and a holiday dress) too. Hi Inder! I love your enthusiasm - thanks! So, yes, you are right - they do only come in one size - which I didn't know when I bought the first pattern, which coincidentally happened to be in Iris' size. So I ordered two more - in Indigo's and Tia's sizes- on Dec 8th, but Indigo's version didn't arrive in the mail until Saturday! So that was cutting it really close. I had planned to only sew pajama pants for Jude, but when I thought about the girls in their fancier nightgowns, which they were very excited about - it didn't feel fair to Jude to have him wear pants and a t-shirt. I bought the Oliver + S sleepover pajamas awhile back during their 50% off sale (after I had had that big flop with that big box pattern) and I really liked it. Jude liked it too and was really excited for me to make it for him. <3<3<3 but I didn't have enough fabric to make it (4 1/4 yards - gulp!). So I had to go to Joanns and see what I could find (also on Saturday). That, of course, took 2 hours at the store alone because their cutting lines were so long. You did it! Win. Merry Christmas to you and yours! Hey Rach! I hope you and your family are having a Merry Christmas. I miss you and the rest of the family. I want you to know you are an inspiration to me and have followed a lot of your blog entries. I was disappointed to see you deactivated your facebook, but hope all is well with you and would love to hear from you. I was diagnosed with breast cancer last month - nothing like staring death in the face to make you wish you'd stayed in better touch with your family! (headdesk) Anyway just wanted to let you know I'm thinking of you and am constantly inspired by your blog postings. I wish I were half the mom you are! Take care! Hi Nicole! I am so, so sorry to read this. I wanted to email you, but your google account doesn't link to your email address (that I can see). If you want to stay in touch via email, my address is rdkovac@satx.rr.com. Again, I am so sorry and you will be in our thoughts and prayers. Fantastic sewing. the kids look beautiful and that photo is priceless. You did it!!! And they all look so fantastic!